Walker & Dunlop, Inc. (NYSE: WD) (the “Company”) announced today that it arranged the sale and $35,400,000 acquisition loan for Town University Luxury Apartments, a Class A, multifamily property. 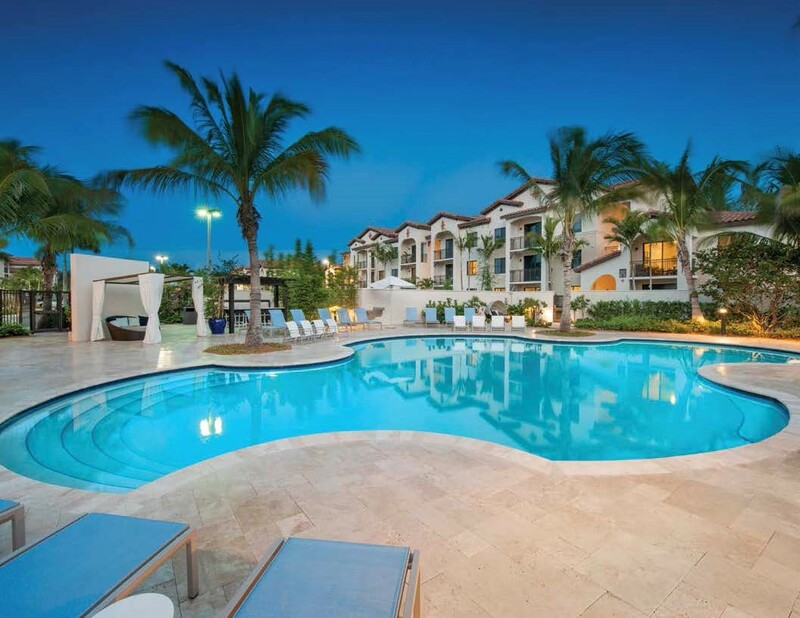 Contentus, a Swedish investor, acquired this development in Davie, Florida, one of Ft. Lauderdale’s most desirable submarkets. Walker & Dunlop’s investment sales platform and Capital Markets team facilitated both the sale and debt origination for Town University Luxury Apartments. This joint effort allowed for a smooth transition from the sale to loan execution. Leading the Company’s Capital Markets team, Al Rex, Marty McGrogan, and Niki Preble worked with Contentus to place the debt assignment and secure a 10-year acquisition loan. Senior Vice Presidents, Chris Conklin and Roberto Pesant, managed Walker & Dunlop’s investment sales team. Town University Luxury Apartments marks the first transaction in the United States for Contentus, which reflects an ongoing trend of international borrowers investing in United States commercial real estate with the intent to grow their multifamily asset holdings in a stable economic environment. Town University Luxury Apartments commands leading rents in this upscale, multifamily market with its highend features and prime location. The newly built, best-in-class property consists of 232-units in eight buildings and provides residents with an impressive list of amenities including a steam room with imported Moroccan mosaic tile, cyber café with a social coffee bar and interactive flat screen, and fitness center with state-of-theart cardio equipment as well as a yoga and virtual spin room. With access to major highways and ample shopping and dining, Town University Luxury Apartments is situated within a prestigious neighborhood and is proximate to Broward County’s number one employer, Nova Southeastern University.